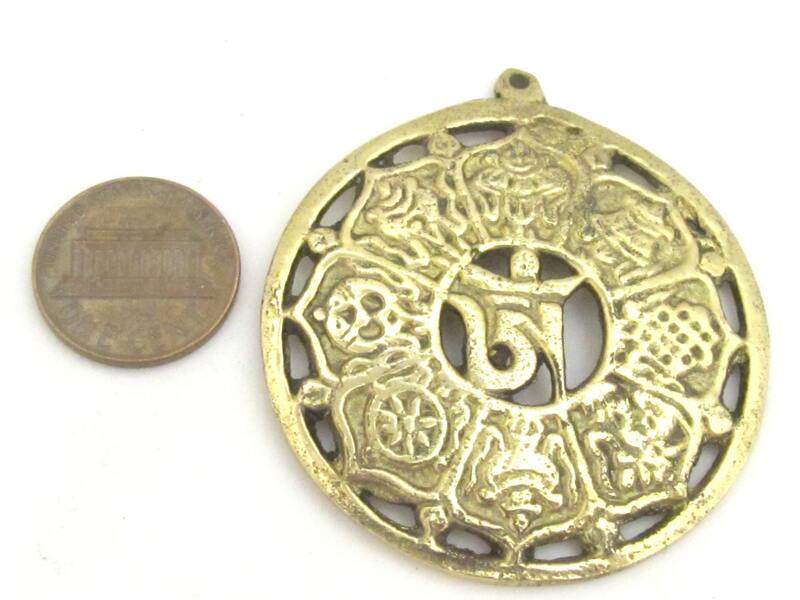 Buddhist Astamangala brass pendant with lotus flower design. 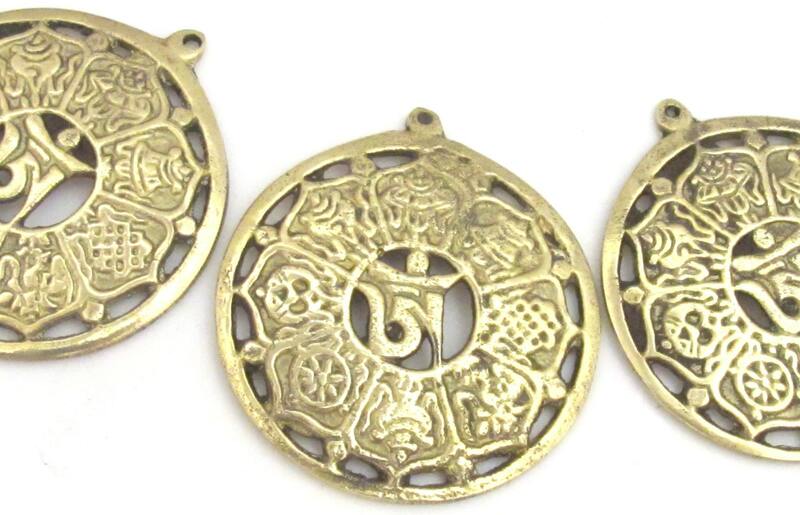 Detailed design of the 8 auspicious symbols on brass . 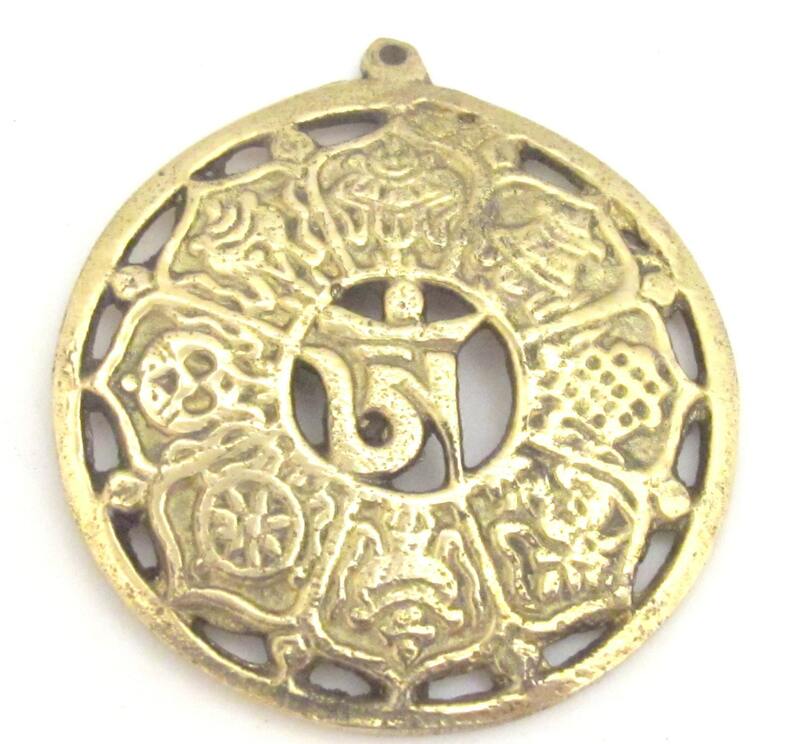 Om symbol inscribed in the center of pendant. •	The Precious Parasol or Umbrella - Symbol of protection from all evil. •	The Golden Fish - Mostly seen in pairs- symbol of spiritual realization / liberation from the ocean of cycles of existence. •	The Right-Turning Conch Shell – Symbol of power and authority , also symbolizes the deep melodious sound of buddha dharma. 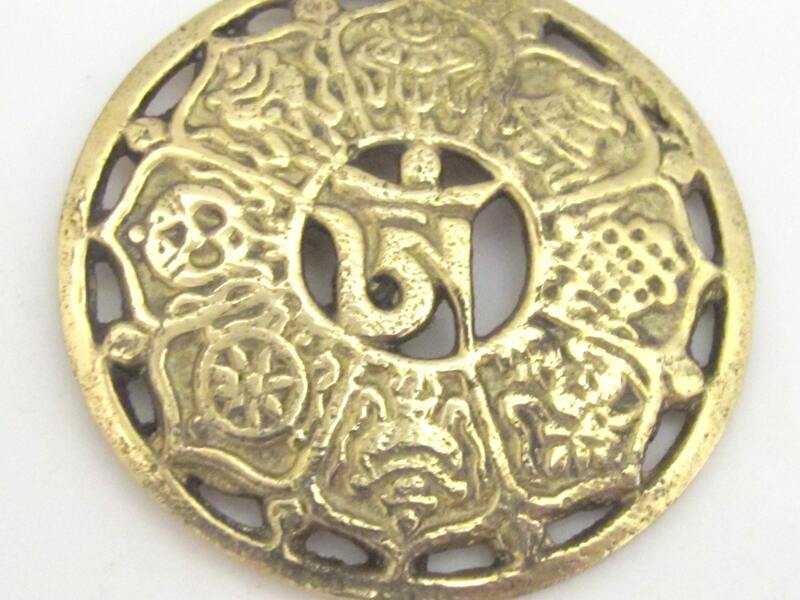 •	The Wheel of Dharma – symbolizes the eight-fold path of salvation.